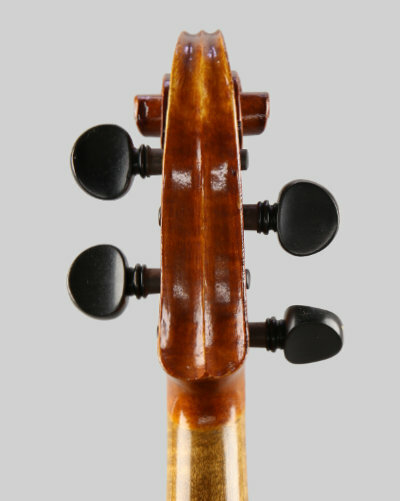 A fine quality Gustave Villaume violin. In excellent condition, without damage or repairs just a little varnish wear. 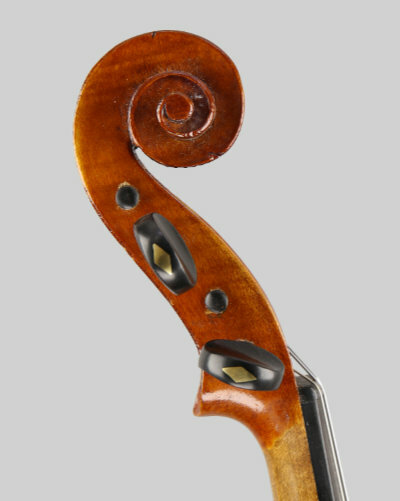 A beautifully made violin with good attention to details, a fine carved scroll, symmetrical button and graceful F holes and a one piece back, this example is a Guarnerius model. The back length is 14.1/16 inches, (35.7cm.) Set up with quality rosewood fittings, Obligato strings and supplied in a new lightweight oblong case. An instrument with a rich tone with a touch of class and sonority. These instruments are becoming harder to find in this condition, this one is well worth considering. 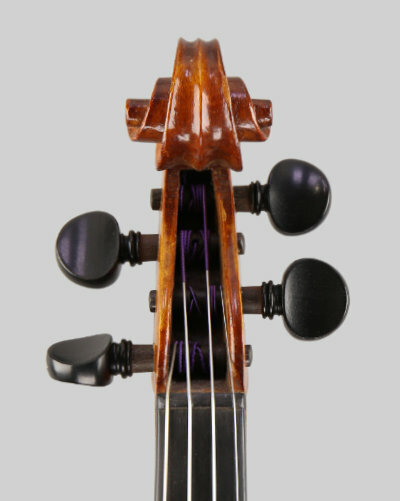 A Splendid violin, highly recommended!